The picnic grounds at Bartholomew Park overlook the vineyards and a replica of Agoston Haraszthy’s Palladian Villa, which was destroyed by fire around the turn of the century. 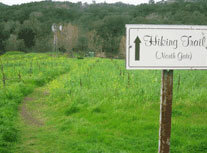 In the hills behind the winery are approximately three miles of dog-friendly hiking trails. A variety of indigenous California vegetation—oak groves, manzanita, madrone, redwood-shaded fern grottos, and fields of spring wildflowers—provides visitors with a generous sampling of the visual delights and natural beauty of Sonoma County. On a clear day, the view from Bartholomew Park’s trails extends to San Francisco. Wander up through oak woodlands, grasslands and forest for views of Benecia Lake and Sonoma Mountain. Don't forget to go the extra 1/8 mile to Solano's Hideaway. Dog rules: Friendly dogs allowed. 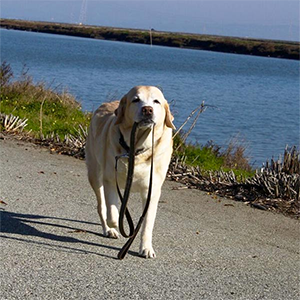 Please clean up after your dog and keep them on leashes at all times. 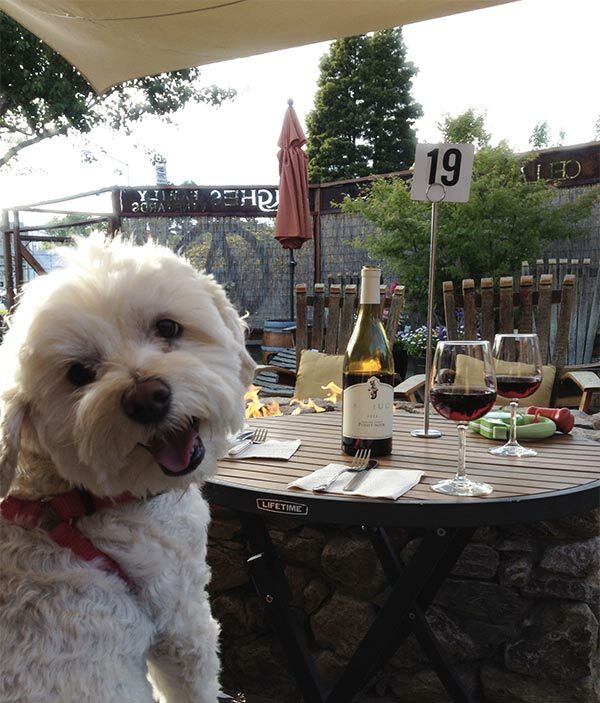 Why take your dog on a wine-tasting excursion? 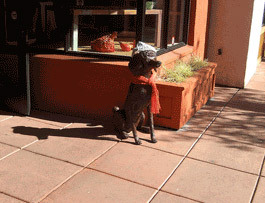 Dogs like a change of scenery as much as their people do, and they’re welcome at almost every facility in winery-rich Sonoma County. 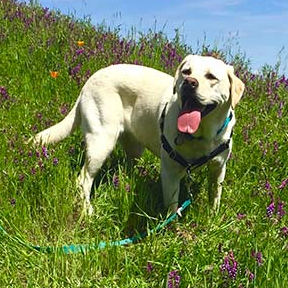 Sonoma County is well endowed with public lands where you can spend quality time with your furry friend, but not so well known are the private preserves that welcome hikers and strollers accompanied by canine companions. 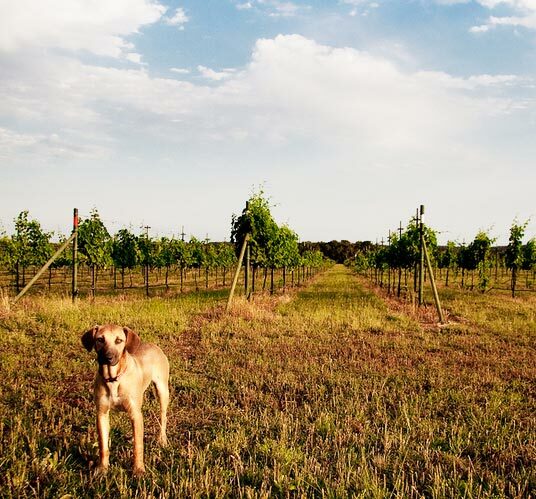 Put organically farmed Bartholemew Park Winery at the top of your list. This little-known gem just a few blocks east of Sonoma Plaza sits at the center of a 400-acre preserve—known locally as "Bart Park" —with a three-mile trail wending through oak-covered hills and redwood groves and opening onto vistas of valley and vineyards.